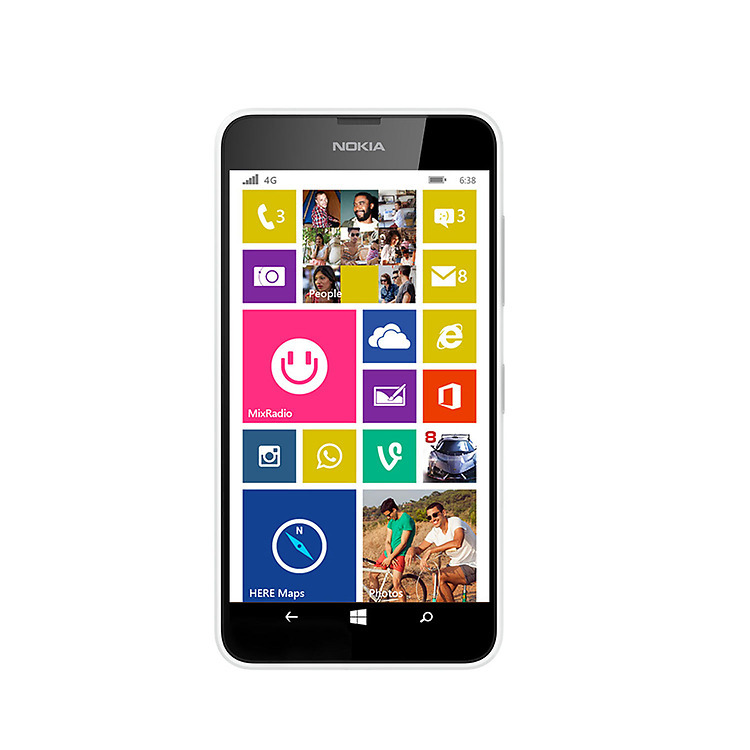 ” India’s First & Foremost Affordable 4G LTE Smartphone from Microsoft – MS Lumia 638 – December 2014. Microsoft Lumia 638, the first Smartphone in India with 4G Network. Microsoft makes its impetus visible with the launch of its Microsoft Lumia 638, India’s first affordable smartphone with 4G network, a few days earlier, close on the heels of its Lumia 535 last month. Its Lumia RM 1069 and Lumia RM 1160 in the similar category had passed certification in Indonesia in July early this year, but will not be available in Indian market for now. 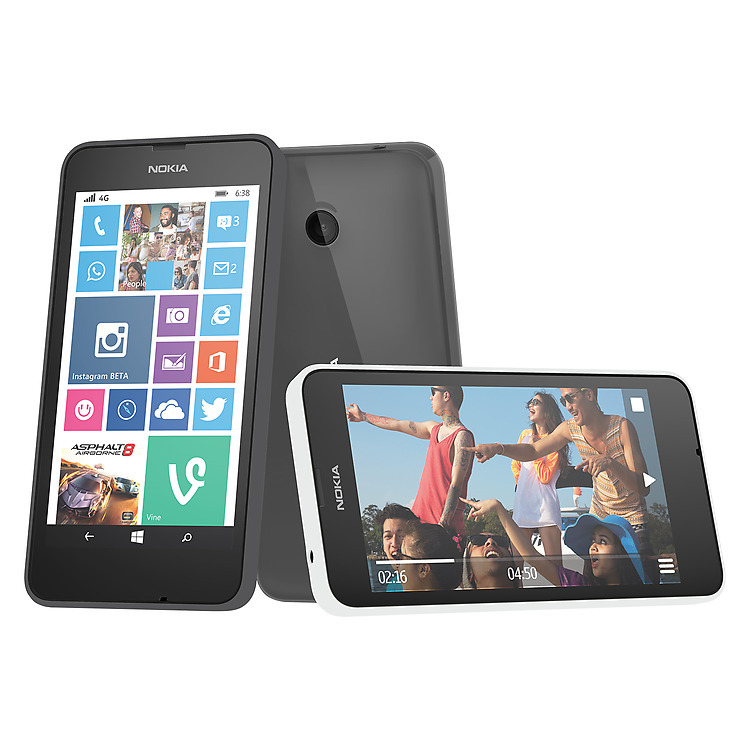 Lumia 638 smartphone is priced at Rs 8299/- available for pre-order from Microsoft Store. I can visualize someone, somewhere smiling with pride ! Standard Features : 4. 5 ” display; Windows 8. 1 platform; 1. 2 GHz Quadcore Snapdragon 400 CPU; 1. 5 GB RAM; 8 GB storage expendable up to 128 GB; 5 MP rear camera; 1830 mAh battery with a day’s support. Features are more than satisfactory but for the ‘camera flash’ about which information is not available. No front camera for selfie enthusiasts, however. Apps and Games can be downloaded from Windows Phones Stores. Coming from Microsoft brand, the price is extremely competitive in this sub 10, 000 Rs range. 2014 could well be the year of Smartphones. Giants in the field came out with their flagship, high-end phones with a high degree of self esteem and dignity. Apple launched its iPhone 6 and iPhone 6 Plus; Samsung showed with attendant publicity its Galaxy Note 4; Sony showcased enthusiastically its X Peria Z3 ; and Blackberry ventured in to its revival with Blackberry Passport. Affordable phone manufacturers were not to be cowed down either. Microsoft itself had Lumia 520, 525 and 535; Moto E from the stable of Motorola; Micromax, Spice, and Karbonn had their own in this category; EE Kestrol the 4G phone acclaimed as the best cheap smartphone; Sharp Aquos Crystal another in this category; “Obi” mobile launched by Ex CEO of Apple, John Sculley, ( who carries the distinction of bringing Steve Jobs to Apple first ); ‘Wiko’ mobile from France; Xolo from India – the last three are prominent in the emerging UAE market. These give credence to the view that there is huge potential with the capability to shape the market dynamics in unimaginable ways and big players need to be more innovative and alert. They need to bring out products, features in products on the fly in order to satisfy the customer experience. Microsoft is possibly making a move with this realization. Rather than exploring new paths in the mobile sector, it appears to be ensuring its priorities with a move that will be made easily and swiftly to make it more visible at a time when it still finds itself in transition. The need for companies to adopt at least fresh approaches to stay in competition set its foot when Chinese and other smaller players rolled out smartphones at prices 3 to 4 times lower than the Giants since 2010. Their growth was also more than anticipated and they tapped the unmet needs of the emerging markets. Emerging economies with huge population coupled with their inherent aspirations plus the government push aided them to stand firm in the crowd. Perhaps, it spells the ‘Dual Approach ” of Microsoft’s strategic play to restore its status and pride and to keep the lights on. Windows 10 is expected in 2015. This could also spell a stage in the process of revamping after its severance with Nokia. Notwithstanding the fact that no Windows phone has been launched across all major US Carriers since its debut in 2010, and disappointment from some quarters that Microsoft tends to ignore the high end phones now, its focus on ‘affordable smartphones’ supports strongly the strategy of increasing market share when emerging markets’ needs are taken account of. Lumia 638 is the FIRST smartphone with 4G network in India. This seems to be its USP, although price, features of a high end phone, and its Brand name can still weigh in and help it stand apart at this point. it can thus be strongly differentiated from others in this category now. It is also to be noted that a few other existing phones from Lumia are 4G enabled. Whether Microsoft can turn this USP to its advantage will be what the insiders as well as the outsiders will be watching in the days to come. Microsoft Lumia 638 Smartphone, India’s First Smartphone with 4G Network.